LED T5 light fixture. Integrated LED driver, just plug-in & lit. No other power supply or accessories needed. Conforms to UL Std. 153, ETL Listed. Caution: Operating and repairing electrical equipment can be extremely dangerous, consult a licensed electrical professional before proceed. 1. Disconnect power from main source or at electrical breaker. 2. Remove the T5 fluorescent lamps and verify whether the T5 fluorescent fixtures have replaceable ballast(s). 3. Open the fixture and remove the T5 fluorescent ballast(s) from the existing fixture. 5. Install the LED T5 replacement tubes. 6. Close the fixture and secure all fasteners, clips and sockets. LEDs, or light emitting diodes, are a solid-state lighting technology that employs semiconducting elements to generate light. Simply put LEDs are electronic microchips that are capable of generating lights as electric current flows across the diodes. LEDs have several advantages over conventional incandescent or fluorescent lamps. For one thing, they don't have a filament that will burn out, so they last much longer. Additionally, their compact design makes them more durable and easier to fit into modern lighting designs like LED T5 lights and LED puck lights. LED T5 and LED puck lights have became extremely popular and effective for residential and commercial applications such as under cabinet lighting, display lighting, cove lighting, accent lighting and others. Solid state devices such as T5 LED Lights are subject to very limited wear and tear if they are installed at a proper operating environment. Many of the LEDs made in the 1970s and 1980s are still in service today. Like other lighting devices, LED performance is temperature dependent. Typical lifetimes rated are 25,000 to 100,000 hours but heat and current settings can extend or shorten the performance. Our LED T5 lights are small, durable and need little power. In addition, the dual heat-sinking design of our LED T5 light fixture keeps the heat dissipated away from the lighting diodes and protected the integrity and longevity of the LED T5 lights. What makes T5 LEDs different from other lights? LEDs are semiconductor devices, while incandescent, fluorescent, and high-intensity discharge (HID) lamps are all based on glass enclosures containing a filament or electrodes, with fill gases and coatings of various types. 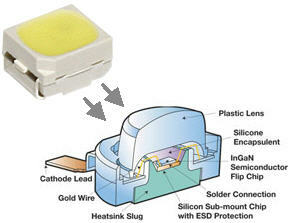 LED T5 light fixtures start with a tiny chip (commonly SMD3528 and SMD5050, will explain in later session). Each individual chip is comprised of layers of semi-conducting material mounted on heat-conducting material and enclosed in an encapsulating silicone. Then an array of LED chips are mounted on a linear circuit board and incorporated into a precision engineered 5/8" (T5) diameter heat dissipating structure. The final product is our extremely durable long-life energy saving LED T5 lighting device. 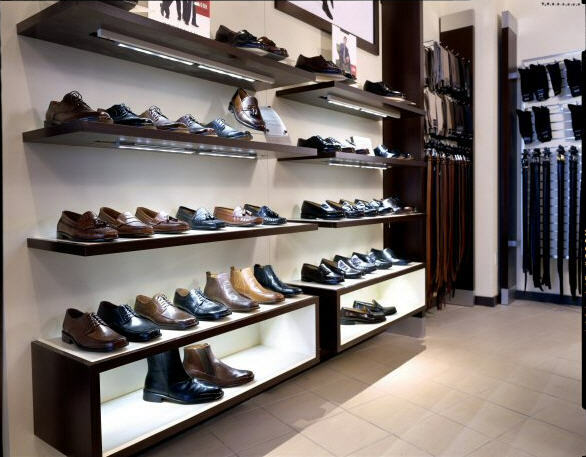 Our T5 LED lighting fixtures are excellent replacements for the traditional T5 fluorescent lights that you can find in most offices, stores and homes. The T5 LED light fixtures have a much longer life time than the traditional T5 fluorescent fixtures - rated up to 50,000 hours, equivalent to 8,000 to 10,000 working days. Besides energy saving, in comparison to the traditional T5 fluorescent light fixtures, T5 LED fixtures are also cost saving in terms of replacement and maintenance. Our T5 LED lights do not contain mercury. Therefore no special disposing protocol is needed as that of disposing fluorescent lamps. Above all, the biggest advantage of the T5 LED light tubes is its shatter-Proof design - it will not break even if it was dropped accidentally because there is no glass component in our T5 LED fixtures. The new slim T5 LED light fixtures are engineered with precision. The light output is evenly distributed - eliminate eye strain and headaches associated with flickering fluorescent lamp operation. At the same light effect (same luminous flux) our T5 LED light tubes use much less LED�s than those on the market, thus less heat generated, longer life, and less light fading. 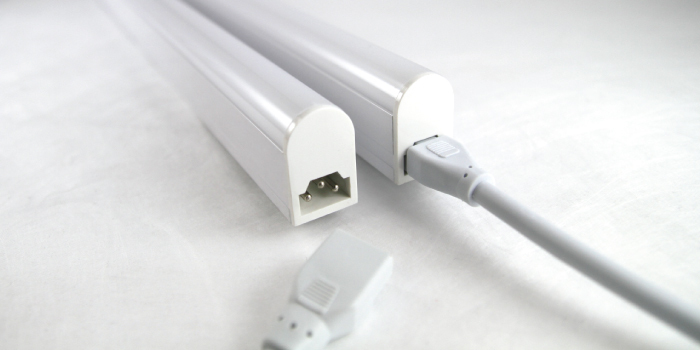 The T5 LED light tubes can be widely used in homes, offices, hotels, shopping malls, super markets, restaurant and many other residential and commercial spaces. We accept © 2005-2018 TW Lighting, Inc. All Rights Reserved.